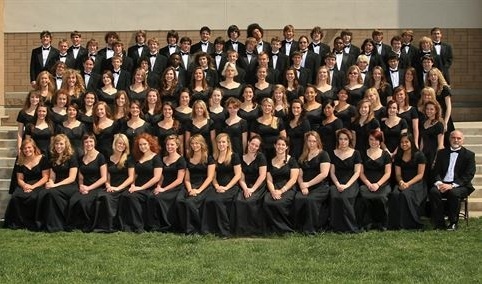 This Sunday, KPUMC welcomes the Waxahachie High School Chorale and Combined Mixed Choir. Both choirs will offer special music during worship. 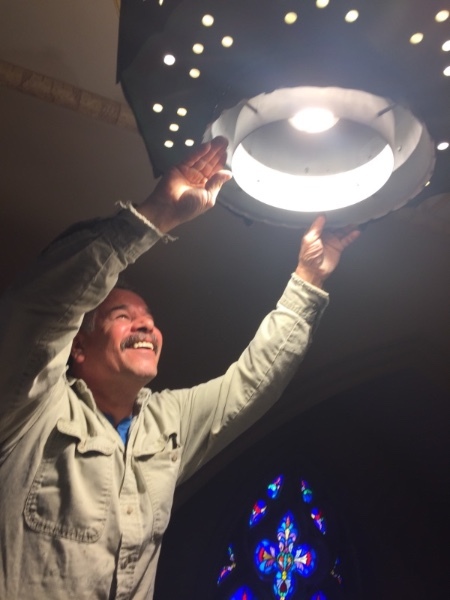 High on a scaffold, Jose Carmona with Good Space finishes retrofitting another of the sanctuary chandeliers. The remaining 10 lamps will be converted to LED illumination in coming weeks, thanks to Ken Kelley's initiative. Also, thank you to David Spence and GoodSpace for their time and efforts to keep us in the light. Reiki Fellowship Dallas will be at KPUMC in Room 213 this Saturday for free 20-minute sessions between 10am and 12:30pm. No appointment needed. Reiki (pronounced ray-key) is a gentle hands-on technique used to promote health and relaxation. The recipient lies on a massage table fully clothed while the practitioner lays his or her hands lightly on the body in a series of positions. The positions include the crown of the head, forehead, throat, heart, solar plexus, abdomen and upper hip; care is taken to avoid personal areas of the body that might make a recipient feel uncomfortable. 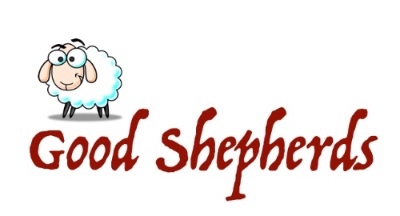 Next Wednesday night dinner will be provided by and benefit our Children's Ministry. followed by classes for all ages at 6:30pm. Kids of Character meet in Room 206. The Youth will will meet in the Youth Room. GriefShare (Conference Room): GriefShare is for people grieving the death of a family member or friend. Every week, Jenni Jennings will share a video, and lead a discussion guided by scripture and reflection. 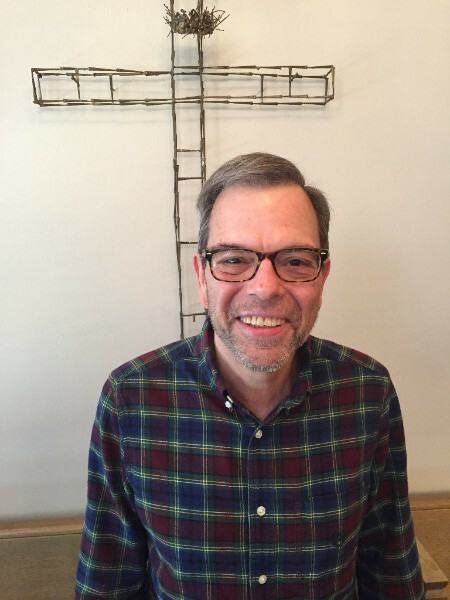 How to Believe Like a United Methodist (Chapel): Rev. Wes Magruder will lead a 3-week class on the foundational doctrines of our church. Consider this a short-course in Methodist theology! Game Night (Fellowship Hall): If neither of the classes sound appealing, you’re welcome to stick around and drink coffee, play games, and have some light-hearted fun. You can pay for dinner on our website by clicking here. 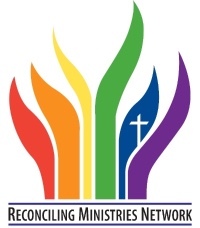 Bring a dish to share and enjoy food and conversation with members of your fellow Reconciling Congregations. 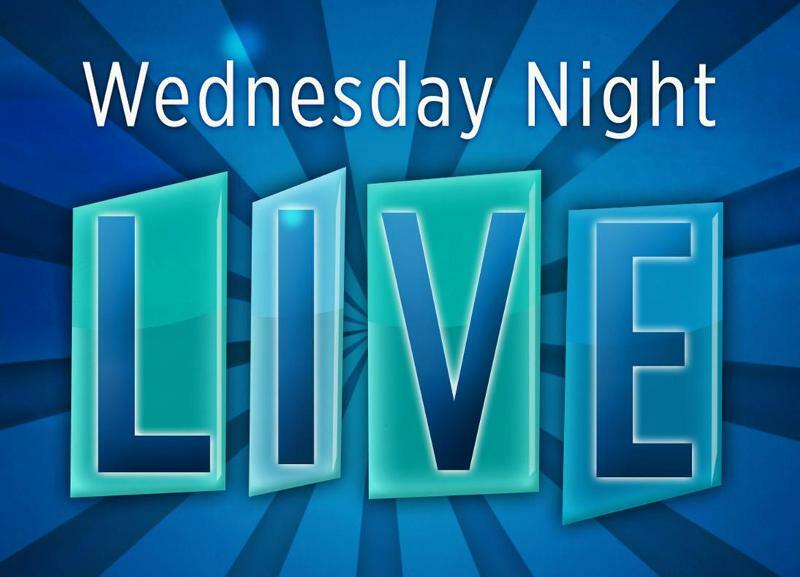 6:00 pm Wednesday Night Live! 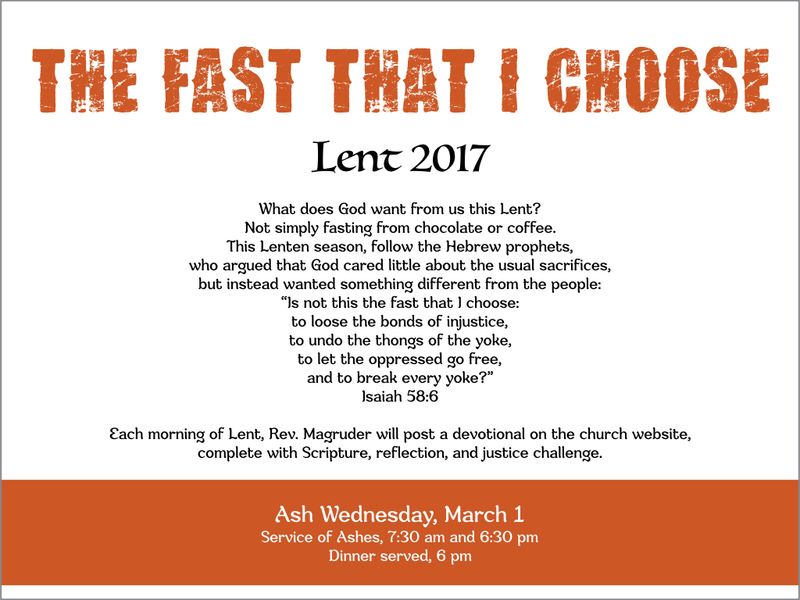 Copyright © 2017 Kessler Park UMC, All rights reserved.